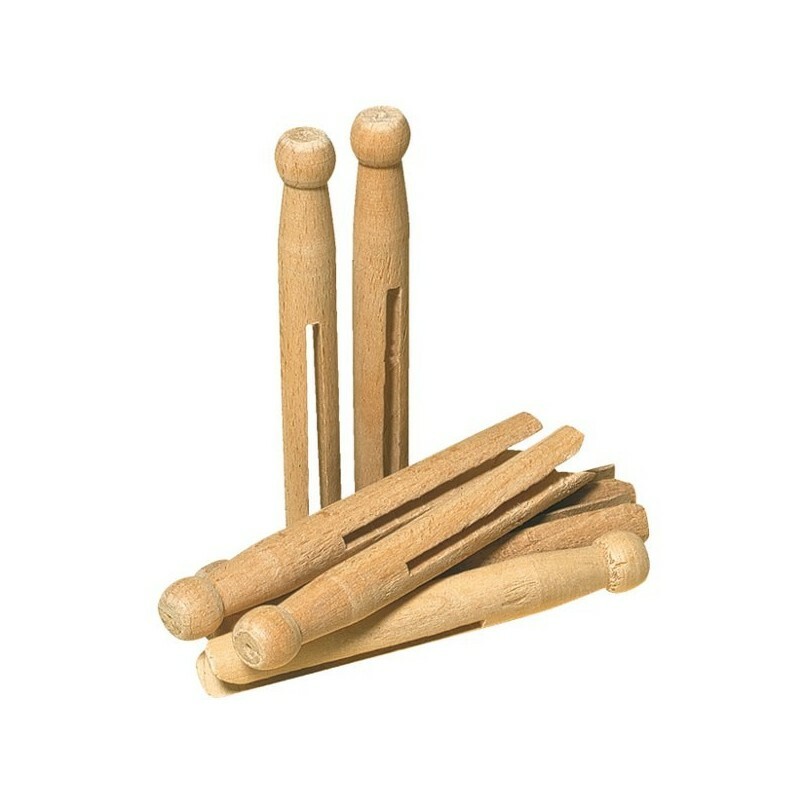 Pack of 25 traditional wooden clothes pegs, a great sustainable alternative to plastic. 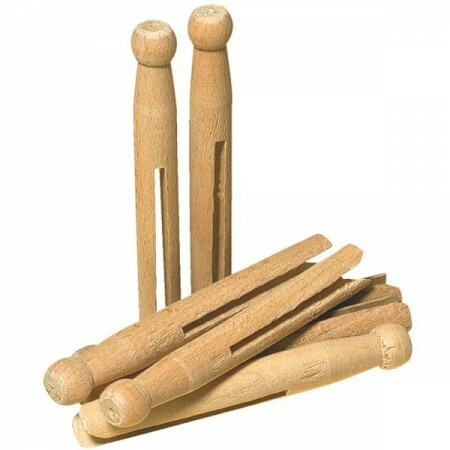 Made from untreated beechwood these vintage style pegs are strong, durable and designed to handle strong winds. These traditional wooden clothes pegs are a great sustainable alternative to plastic pegs, which are often found washed up on beaches after falling off the line and flushed down storm water drains into the sea. Line drying clothes & linens also helps to preserve their life and colour, as well as conserving energy. Made in Poland from untreated beechwood. 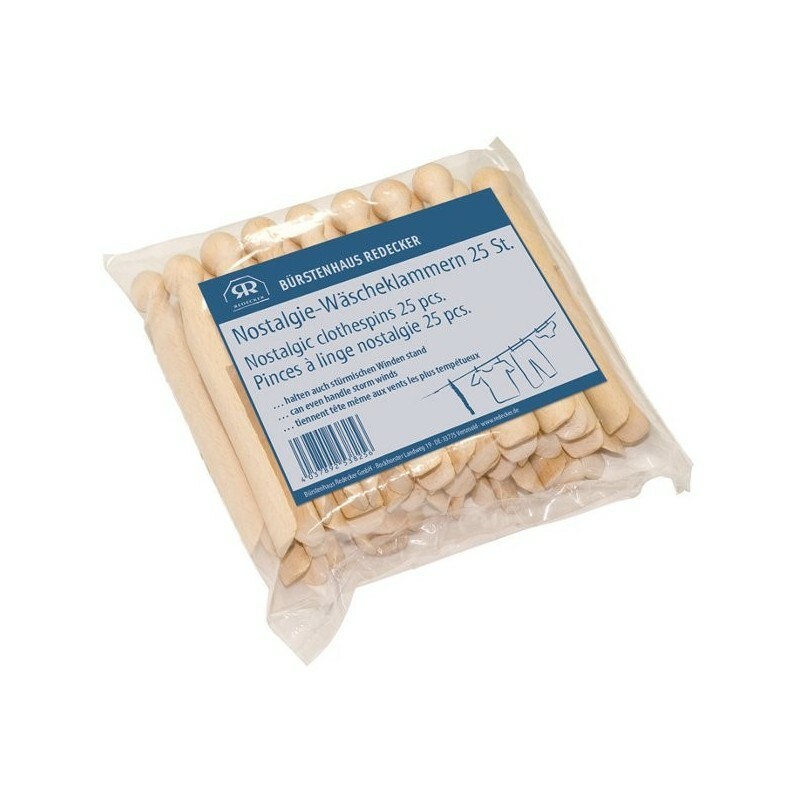 Pack of 25 pegs, each peg measures 10.5cm. I was prepared to love these but unfortunately they didn't live up to my hopes. While the outsides are perfectly smooth the surfaces that actually hold the clothing are very roughly cut, with lots of big splinters. I had to sand each of them before I was game to actually use them on my clothes - I have no desire to poke holes in the weave or get splinters stuck in my clothes. They are functional but you can't hang anything particularly thick with them at all, and you might have to fold thin things over in order for the pegs to grip firmly. Unfortunately I could not recommend them for the intended purpose. I bought the 25peg set, to replace plastic clips. I was tired of using plastic pegs which crumble and break easily in the heat. These are very old-school! I like them, though haven't used them too often yet, as I have been trying out the stainless steel clips I also bought. These are god for thin clothing and other thin fabrics.